It seems to be absolutely ages since I have ventured to the all-female comedy night that The Stand Comedy Club run on the first Tuesday of each month, and I have certainly missed going, it’s just that things got in the way, damned work!! However, it was all put to rights last night. And I’ve already booked for next month too!! 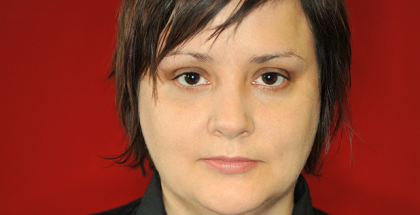 WW regular compere is the inimitable Susan Calman and this short in stature but large in talent lady was in evidence as usual, hot footing it from opening for no other than Russell Brand she informed us. ‘The Calmanator’ was quickly into her stride, revelling in the role of warming up the crowd, eliciting information for others to pick up on and run with. Her relaxed manner, her incisive repartee and a wealth of material really make her a firm favourite, not just with me, but with all who see her. The opening act of the night was the stunning Jay Lafferty, who has been missing for way, way too long as far as I am concerned. From the first time I saw her a few years ago I was impressed with her material and delivery and subsequent sets have reaffirmed this opinion. Armed with a whole bag of new material Jay continued to impress me, and most of the audience, for the duration of her set. Of course she had a little of what I call her ‘greatest hits’ stuff in there as well, but it was a pleasure to hear this classy stuff one more time. Ms Lafferty looks like an angel, but don’t be deceived, she delivers a mean, occasionally slightly dark and self-deprecating set with all the devil you could want in a comedian. Don’t stay away so long next time Jay please. The opening act of part two was a new name to me Caroline Robertson who was doing the ‘short slot.’ As with those who had gone before her Caroline had stage presence a plenty and more than ample material to fill her allotted time. Her take on a variety of subjects including drinking games, weight watchers and a London trip was well written and delivered and I’ll certainly be pleased to see her perform in the future. The closing act of part two was the Irish enigma that is Maeve Higgins. Now this is the second time in a couple of months that I have seen her perform, and I have to admit I am still bemused. She has a good reputation, especially in her native Ireland, but I have yet to see how, in my opinion anyway, this is justified. It could be the character she is portraying, but at times I would think she has never been on stage before in her life. She has some decent material, for me and a fair percentage of the crowd, no where near enough to sustain her set. When I saw her in August I assumed she had a ‘bad day at the office’, but now I’m not so sure, but I know she is not for me. Following the second interval and prize draw, Susan Calman introduced Shazia Mirza, our headline act of the evening. I have seen Ms Mirza quite a few times over the years and have to say have always enjoyed her as a performer. Birmingham born of Asian heritage she always has a lot to say and the quality of her material is never in doubt. As well as a stand-up she does a lot of writing too, and the erudite nature of her set is testimony to this. Shazia always has plenty to say on her culture and upbringing, possibly able to go places with it that others may fear to tread, but never pushes the boundaries too far. From the off she was drawing howls of laughter with the majority of her well written and confidently delivered performance, and when she smiled the whole stage was illuminated. She majored on a recent excursion to Buckingham Palace, an event that was comedy gold for a comedian of her calibre, and boy did she make use of this. Shazia, although pretty well known in the comedy world, in my opinion deserves to be a household name, and let’s hope this occurs sooner than later. The Stand Comedy Club runs gigs nearly every night of the year. It always has good acts, encourages emerging talent and is staffed by friendly efficient people under the leadership of Tommy Sheppard. To find out about forthcoming gigs check out their website www.thestand.co.uk for details and hopefully I’ll see you there.